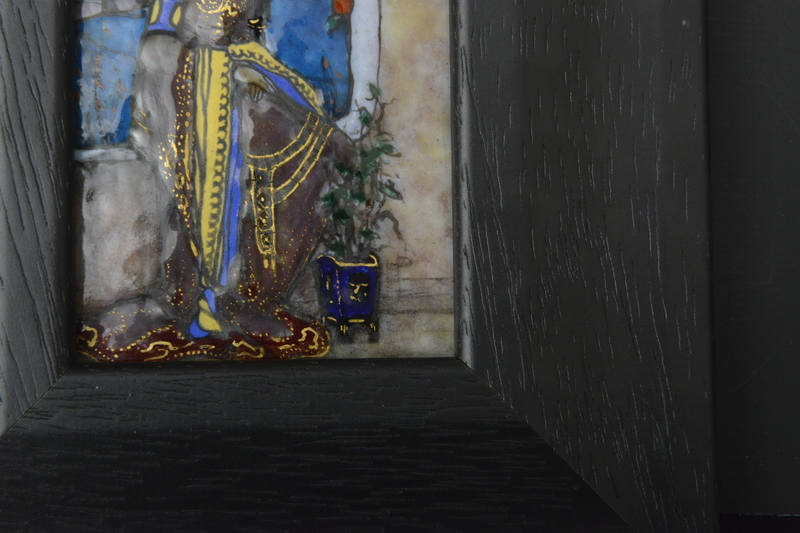 This small plaque is by Lucy Elizabeth Pierce and dates to c. 1925. 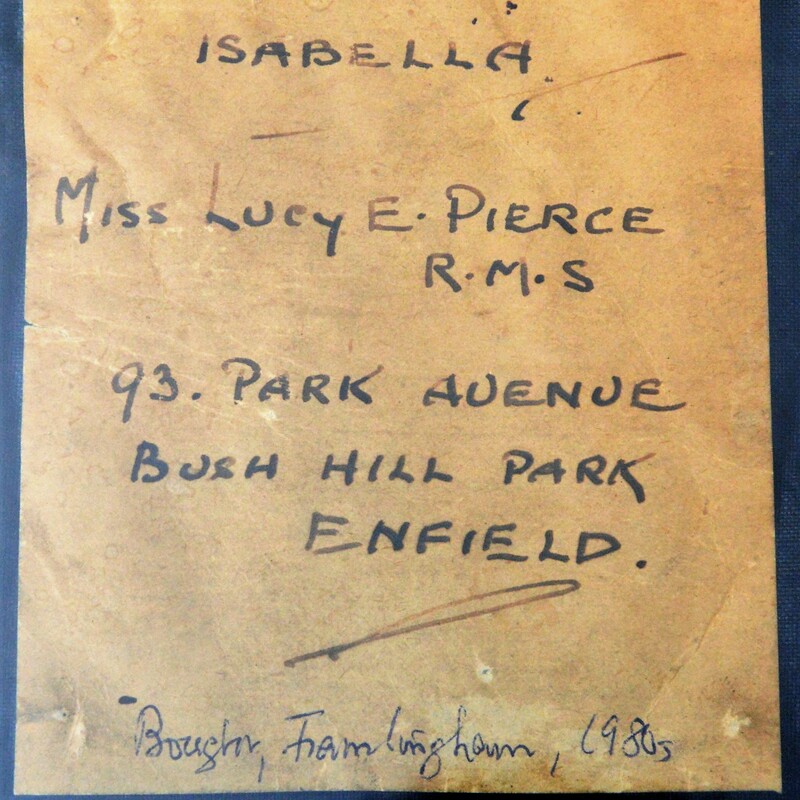 Entitled “Isabella”, most likely a reference to the royal princess in the plaque. Pierce’s monogram, LEP, is just visible to the bottom left of the plaque. 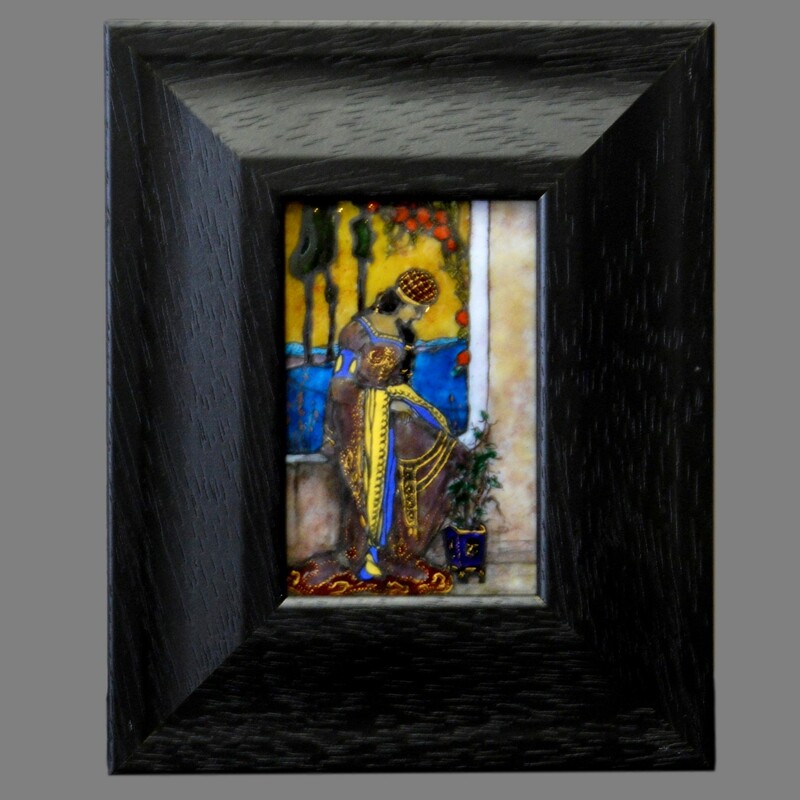 The plaque is in a modern frame with a preserved original label to the reverse, see images. Lucy Elizabeth Pierce was born in Enfeld, Middlesex, England in 1887 and studied at Hackney Institute in London; and under Henry Tonks and Fred Brown at the Slade School of Fine Art, University College London. She subsequently worked as a painter and Limoges enameller, and from 1910 onwards exhibited at the Dudley Gallery, London Salon, Royal Academy, Royal Society of British Artists, Society of Women Artists, the Royal Institute of Oil Painters, the Royal Society of Painters in Water Colours, and Walker’s Gallery in London; the Royal Scottish academy in Edinburgh; Walker Art Gallery in Liverpool; and at Glasgow Institute of the Fine Arts. She was elected an an Associate of the Royal Miniature Society (ARMS) in 1921; Associate of the Society of Women Artists (ASWA) in 1925; Associate of the Royal Society of British Artists (ARBA) in 1926; and a full member of the Royal Miniature Society (RMS) in 1937. Size: Plaque: 10.5cm high, 7m wide.